Red Spherical Dress – a pink red linear holo with deeper red micro flakies through it. This is Theresa's inspired creation. I've used the brand's descriptions and added my comments beneath each. As with all other Grace-full polishes I've reviewed, the formula for all of these was fantastic. Many are opaque in one coat, but I used two to insure good coverage for brightly lit photos. Beautifully done bright pink shade. I especially love where the purple/blue portion of the holo flame are visible, its fantastic. 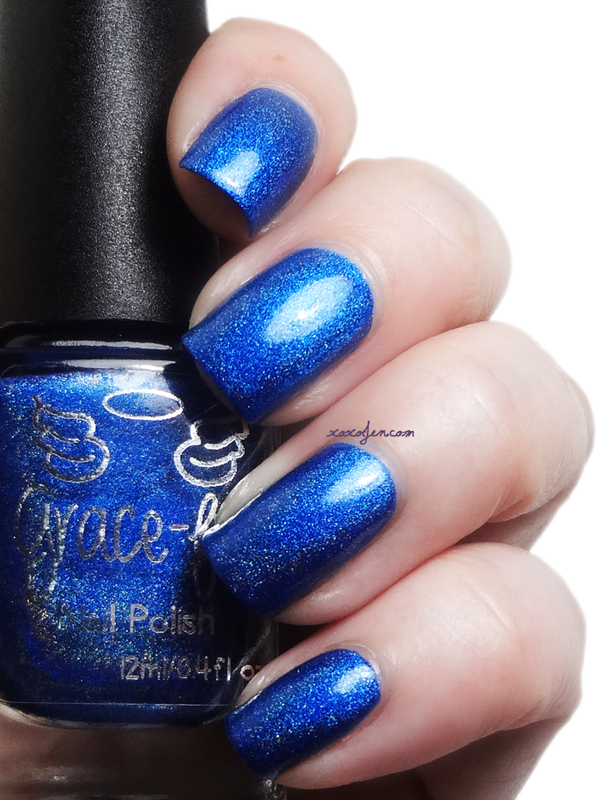 Gorgeously done bright blue - what more need I say? Favorite! When I first saw its inspiration photo, I had doubts, but Theresa totally nailed it. Mermaid in a bottle ya'll, seriously! Stop the Show - a bright pink with micro silver flakies through out. 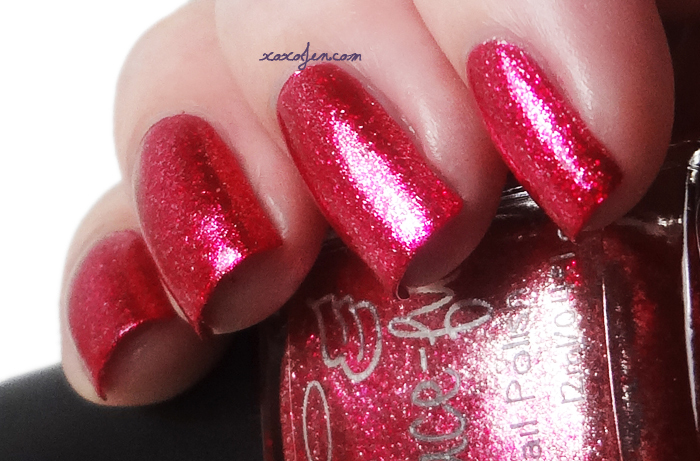 This polish is Kristin's creation and comes with a red jelly polish to be used as a tint over the top of it. The tint gives you the flexibility to wear it bright pink or red, whichever your heart desires. 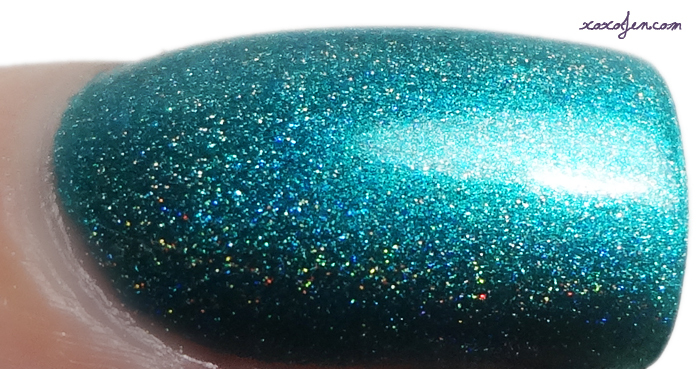 I was wowed by the finish of this polish. It is so sparkly and shimmery and silvery looking. It reminded me of what a sequin covered dress might look like from a distance. 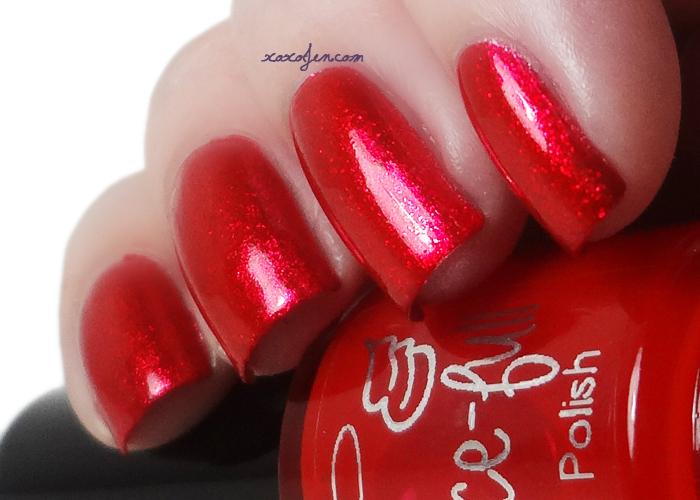 This left me in awe - how a red jelly could morph a polish like this. It adds depth and in person it looks something like a candy apple. The shimmer underneath was amazing to look at! 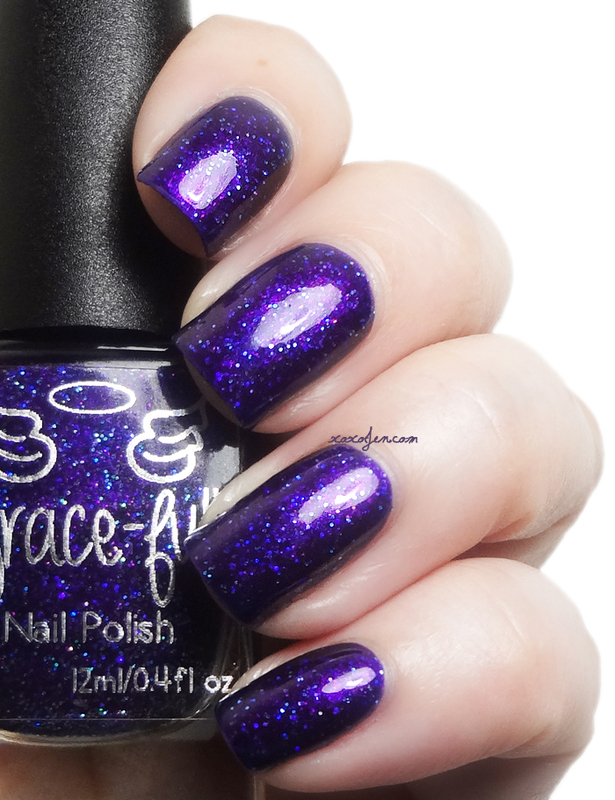 The What a Girl Wants collection will release on July 31st at 7pm AU time at Grace-full's shop and again on the 31st at 9pm Eastern at Ella Ann Cosmetics. Right? You should see it in person! !